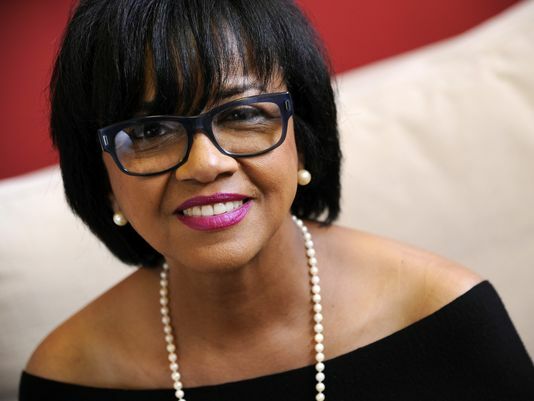 *(Hollywood, CA) – The Black Hollywood Education and Resource Center (BHERC) announced that Cheryl Boone Issacs, the immediate past president of the Academy of Motion Picture Arts and Sciences (AMPAS) will anchor the Opening Celebration of the 25th Anniversary of the Sistas Are Doin’ It For Themselves Film Festival. She will participate in an intimate “Conversation with Cheryl Boone Issacs” at the Sista Power Panels Saturday, March 10, 2018, at the Nate Holden Performing Arts Center 4718 West Washington Boulevard, Los Angeles, CA 90016.The conversation and following Q and A will be moderated by Emmy-nominated actor/writer William Allen Young (Code Black). 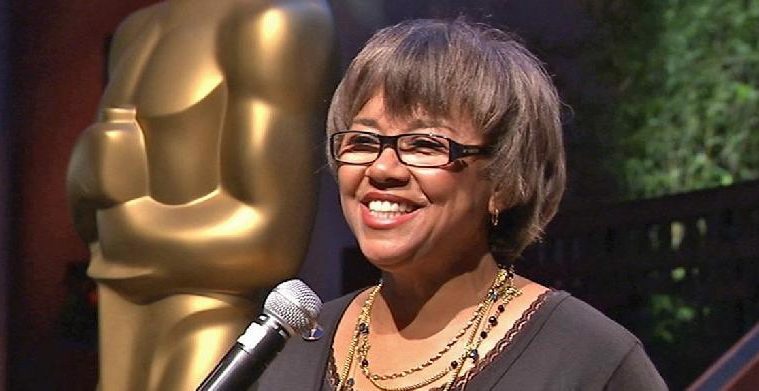 Boone Issacs is a noted marketing and public relations professional elected in 2013 the 35th President of AMPAS and more significantly the first African American and only the third female in its history to head the organization that produces the annual OSCARS. Boone recently ended her 25 years of leadership service to AMPAS the last 4 as President. She will continue her work in the company she started CBI Enterprises, Inc., where she has worked on publicity for films that have included Best Picture winners The King’s Speech and The Artist. A hallmark of her tenure has been the Academy initiative called A2020, which focuses on improving representation of diversity — age, gender, race, national origin, point-of-view industry practices and hiring in Hollywood. The BHERC Sistas Are Doin’ It For Themselves: “Sista Power, A Celebration of Black Women in Film and Television”, continues to bring to the public outstanding shorts created by female filmmakers of African-American decent. This 25th year adds an upfront and intimate chance for the audience to view and discuss the artistry, passion and sacrifice involved in the independent filmmaking process with the addition of the daytime “Power Panels” and networking from a woman’s view. This is the only program that has consistently promoted and supported the work of African American women in film for more than two decades. “Now more than ever the Black female perspective is needed in filmmaking and we cannot deny their power. Moreover, the community needs to know and support our “Sister Sheroes” as they tell our stories. This is an opportunity, and a platform to do just that.” states founder Sandra Evers-Manly. “SISTAS…” began twenty-five years ago as a call to the entertainment industry to acknowledge that there is grand talent amongst African American women filmmakers. What began as a simple screening and discussion became one of the most recognized inspirational and emulated events of the Black filmmaking community. It is a clear-cut concept; a screening of short films written and/or directed by some of the nation’s top filmmakers with a dialog following. For this 25th year celebration, BHERC has added the extended Power Panel sessions in the morning with the film festival screening in the evening. Hey Little Black Girl 13:00 Min., Lyntoria Newton: Director/Producer; Girls Like Me: A Self/Love Story 7:00 Min., Aisha Raison: Director/Writer/Producer; Tokenism 5:00 Min.,Jabree Webber: Director/Writer, Rudy Salas: Producer,; Lindon Passing 12:00 Min., Keena Ferguson: Director/Writer/Producer/Executive Producer, Marcus DuPree: Producer, Kenneth and Theressa Ferguson: Executive Producer; Harlem Blues 6:00 Min., Nicole L. Thompson: Director/Writer, Gabriel Bradley: Producer; Help Wanted 6:00 Min., Kennikki Jones-Jones: Director/Writer/Producer; Sule and the Case of the Tiny Sparks 11:00 Min., Shawneé Gibbs: Director, Shawnelle Gibbs: Director and Rene Rawls: Producer; The Colored Girls’ Restroom 9:00 Min., Savannah Treena: Director/Writer/Producer . Purchase tickets online at www.bherc.org. Street parking is available at the Nate Holden and on the lot at Raleigh for $7. For further information, please call 310-284-3170 or visit the website www.BHERC.org.